A while back, when I was about halfway through the swallowtail shawl I was presented with a knitting conundrum. 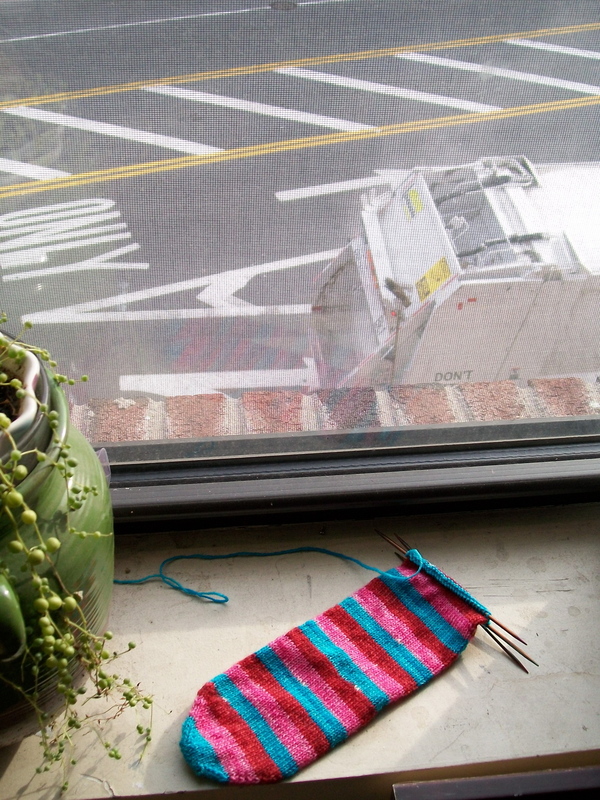 I was getting ready to leave for a weekend trip to Vermont with a big group of friends, one of them being a new knitter. I didn’t want to bring the swallowtail shawl, cause I can’t exactly knit lace from charts and socialize at the same time without making mistakes. 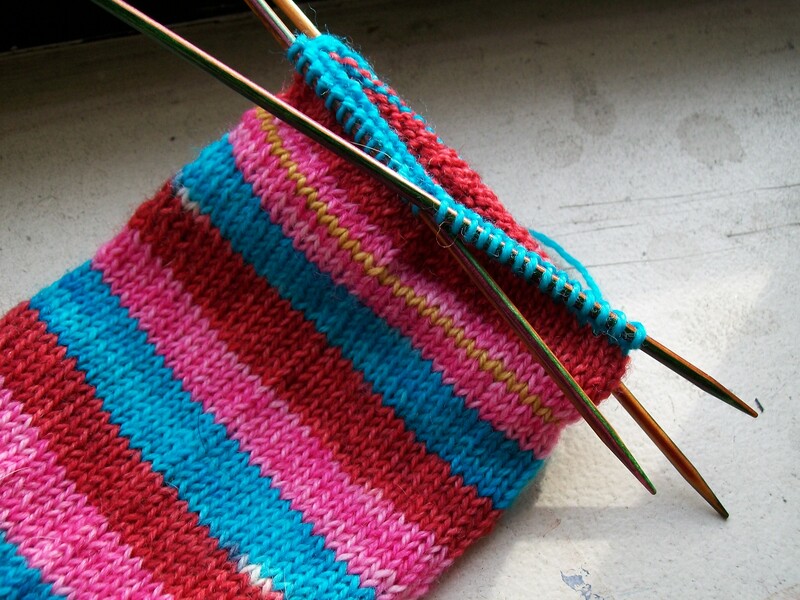 That was the perfect excuse for me to cast on for some no-nonsense stockinette stripy socks! The yarn is Vesper Sock, and I’ve had it for quite a while. I probably bought it back in my yarn-binging days of 2007. 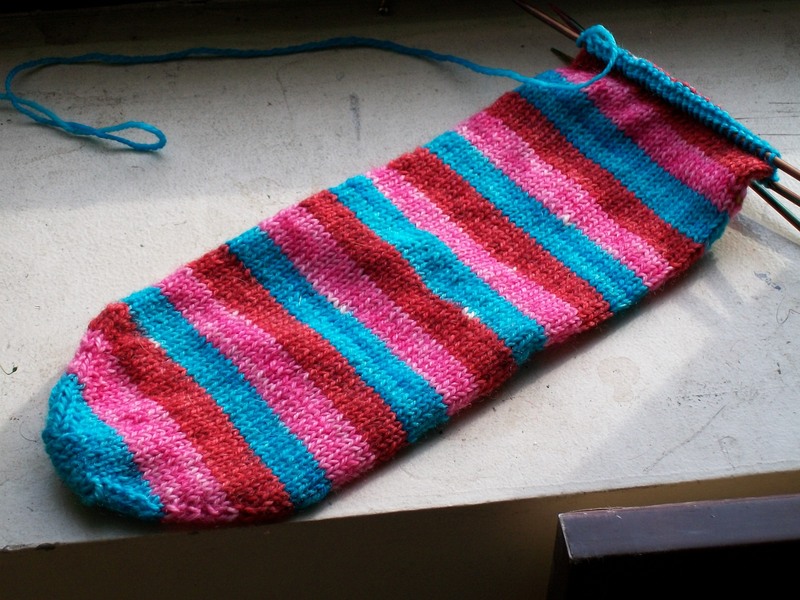 I’ve knitted socks with this yarn before (a pair for Joey- blue, red and brown stripes) and now its my turn to get a pair of stripy socks. I’ll be doing an afterthought heel on this pair as well, which I think is the best way to do a heel with self-striping yarn.